Quickly reduce bumps, holes, and uneven texture of acne scars, while dramatically improving discoloration, redness and brusing with Collaxyl®, Rosa Mosqueta, Glycolic Acid, Acai Berry, Niacinamide, Asafetida and Resveratrol. 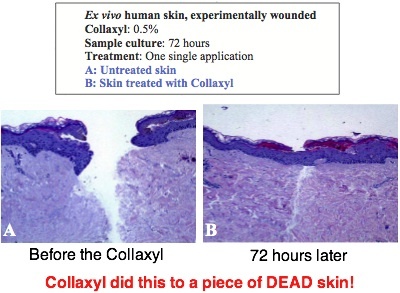 Why is this Acne Scar Cream so Incredible at Removing Acne Scars? In short, it WORKS! There are plenty of "scar removal" products out there, but NONE are designed specifically for Acne Scars. This product not only detoxifies the skin and prevents future acne breakouts, but miraculously smooths and heals the scar texture, AND fades the discoloration around the acne scars. The Dermagist Acne Scars Reduction System is the ONLY Product of it's kind! As a result, I wrote you this short note about my story. 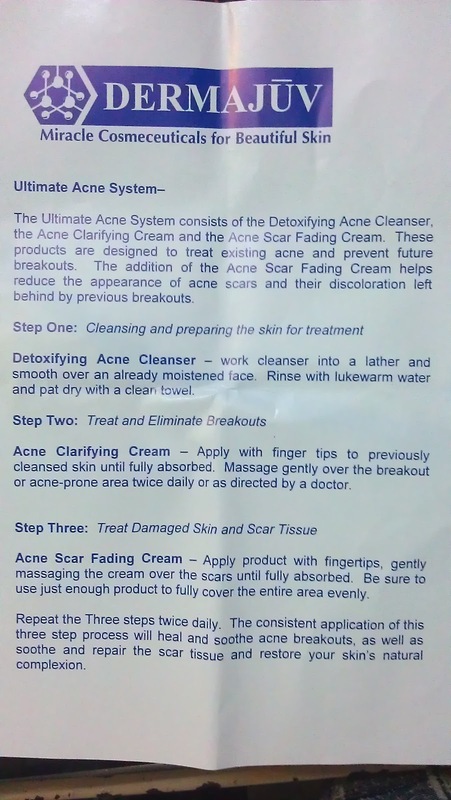 I hope that other people can read it and learn how fantastic your acne scar cream worked for me, and I encourage them to try it for themselves. You really have a great product, and the world needs to know. Christian T. from Dallas, TX. My name is Chris, and I'm a user of the Acne Scars Fading Cream. I am not an emotional guy, and I don't wish to go into too many details about how I "felt" or anything, but I needed to tell you how great your product worked for me. I hope you accept this small note of thanks as a sincere "Thank you" for what you have done for me. I took some pictures of my face so that I could prove to myself later if the cream was working or not (or if I'd try to get a refund). Needless to say, I'll be ordering more until my scars are 100% gone. I really think this cream can do it. I had gone to a dermatologist to find out if he could do anything to help my skin condition, and I was told that I had "Ice pick" scars from my acne, and that it could only be treated with a procedure he could do on an out-patient basis. Iam more than thrilled that I didn't take his opinion as the only right answer, and I experimented with your cream before deciding to go ahead with the doctor. Week 1 ended and I had a really nice feeling that something was working in my skin. I could feel a firmness coming back that I havn't had in my skin for quite a while, and it was as if the skin was starting to plump up in the places where the holes were. The results weren't really noticable yet, but I could tell something was happening. Week 2 ended and I was still having that feeling in my skin. However, when I looked in the mirror every day, I could actually see that my scars were less noticable than the day before. I mean I would literally wake up all excited, and go straight to the mirror to see what had changed. I loved it, and I gotta tell ya, it was very encouraging. Week 3, was the same as far as getting results a little each day. I didn't have that same 'magic feeling' in my skin any more, but I think it was because I was getting used to it. I still had a very high level of excitement, and my skin was really looking awesome. Week 4, and I was about half way done with the jar of cream. I thought it was only a months supply, but in reality, it does last much longer. I was getting comments from my co-workers (men, who never say anything nice) that my skin looked different. I know that was their "tough guy" way of saying that it looked good. I knew it too, because I was really feeling good about how it had transformed. Well I have continued to use it, and I will KEEP on doing so. I thought I'd send this brief note to thank you, and hope that you guys continue to offer this product to the public. Thanks again, Chris. 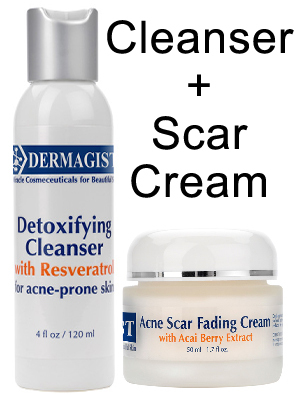 Product : Dermagist / Dermajuv Acne Scar Fading System. All Items are new set, and original imported from USA.